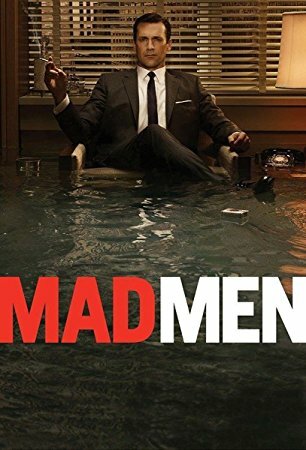 Old-school advice from Mad Men: Improve response rates by using the USP in Advertising. Life in an advertising agency makes for great TV drama. And sometimes the powerful men of those fictitious agencies can even teach us a thing or two. Like using a USP in advertising. Creatively, Reeves’ TV ads were formulaic and boring. He had blatant contempt for public intelligence and many of his commercials were banal and insulting by today’s standards. But by God, they worked. If you ever find yourself staring at a blank screen wondering what to say in your next ad, Tweet or blog post, Reeves is not a bad source of inspiration. “Demonstrably” is the key word here… He could look at a product, size up the research, and extrapolate a USP that no client had ever considered. He was an expert at positioning, 30 years before the term was ever invented. Strategically, his work was brilliant. Here are the rules that Reeves lived by: on How to choose the right advertising message. • Stick to one idea only. Reeves was adamant about adhering to one simple USP in advertising that the viewer could easily absorb. Back then, his Unique Selling Propositions really were unique. For Colgate Reeves devised the claim “Cleans your breath as it cleans your teeth.” In reality, every toothpaste does that, but Colgate was the first to make the claim. Reeves hammered that idea home over and over and over again on network television. He never deviated from that message, and it worked. Takeaway For Today: When it comes to a USP in advertising or anything, less is more. Your pitch needs to be honed down to seven words or less. Like you’re doing a billboard… You can’t have two or three ideas on a billboard or in a social media post, for that matter. Keep it simple. • Leverage the drama of television. Back in the 50’s product demonstrations were a required element of almost all television advertising. Reeves understood that, and he used Television quite effectively. The whole idea of a USP was to be demonstrably different. If it couldn’t be demonstrated for the world to see, it wasn’t a USP. Takeaway For Today: Don’t just tell people about your product, show them. Take a lesson from Reeves and demonstrate something! Find the drama in your business, and feature that in your ads, on YouTube, or wherever you have an audience. Have you ever seen “Does it Blend?” That’s a great example of modern demonstration advertising leveraged with social media. Back in the Mad Men days, ad agencies got paid on commission. More “frequency” translated to more revenues. (In other words, the more times a commercial aired, the more they made, so their media budgets were generous to say the least.) They never abandoned a campaign that was working. Just because you’re tired of your own message doesn’t mean consumers are. Takeaway For Today: Use only one USP in Advertising at a time, and leverage it for all it’s worth. With today’s fragmented media environment, it’s harder than ever to get your message across consistently. So its even more important to define your core brand message and stick with it. If you have your value proposition (USP) nailed down, and a campaign that’s working, don’t quit. Milk it for all it’s worth. Keep the brand messaging consistent on everything from Facebook to outdoor boards. • Make your ads, videos and posts sound good. The human ear is an amazing thing. The latest brain research proves what Reeves knew intuitively… that audio mnemonic devices aid recall. He used sound cues and catchy jingles to help people remember the product. Takeaway For Today: Pay close attention to how your spots sound. On TV or on the radio, every syllable should be scripted for its sound quality. Is there anything in that 30 seconds that’s memorable, or does it sound like everything else out there? At the Ted Bates agency most TV spots featured official looking men in white lab coats demonstrating products and proving product claims. It was authoritative salesmanship. It was science. During that period in American history, it worked. Takeaway For Today: There can be no Credibility without Authenticity. Credibility is still tremendously important, but now it’s about transparency. People want honest, user-generated reviews and third-party testimonials. Not pseudo-scientists or celebrity spokesmen. 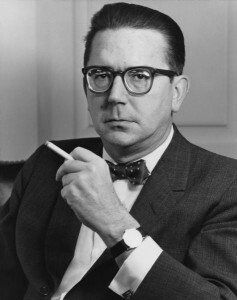 Reeves focused exclusively on product-oriented USPs, like all those filter traps in the Viceroy cigarettes. But these days, we usually have to dig a little deeper to find a pitch that resonates with people. Case in point… When Goodby, Silverstein started working on the California Milk account they learned that the health benefits of milk didn’t resonate with anyone. Just because healthiness is a benefit of milk, doesn’t mean it’s THE benefit to put in your ads. “Milk. It does a body good” simply wasn’t doing much good for milk sales. Instead of focusing on what happens when you drink milk, the account planners at Goodby decided to take the opposite approach and focus on what life is like without milk. Milk is hardly ever consumed on it’s own. It’s always milk and cookies, or milk and something. Everyone has opened the fridge at least once only to find the milk carton empty. So the idea was this: Stay stocked up on milk, or else! No other organization was taking this approach, and the creative teams at Goodby did a superb job of executing the seemingly negative idea in fun, memorable ways. 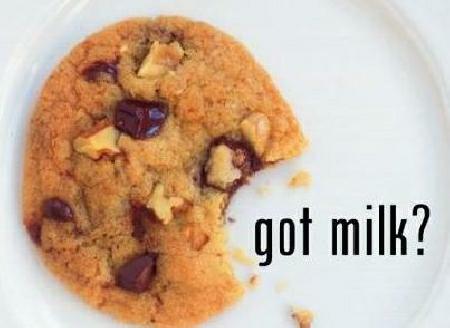 “Got Milk” will certainly go down in advertising history as one of the all time great campaigns. 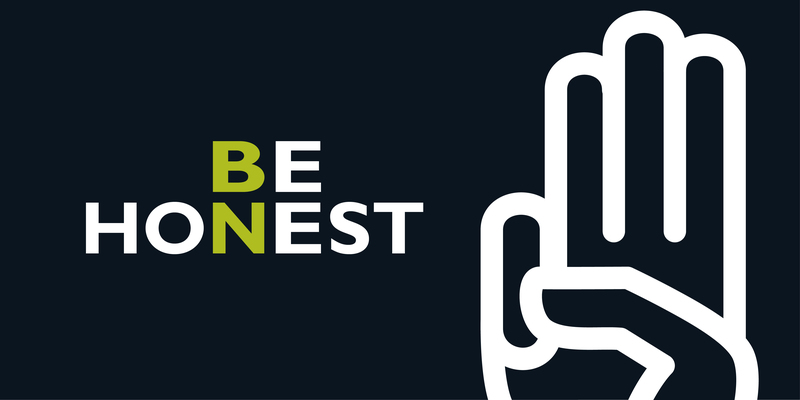 Takeaway For Today: When it comes to your USP in advertising, don’t settle for the obvious. You can’t just take your sales presentation and put it in a 30-second radio spot. You have to dig deeper than that. You have to step out of the bottle and approach it from an entirely different perspective. You have to take time to sift through all the trivial little details that come up in focus groups and sales meetings and hone in on one resonant truth. One main benefit. One compelling message. One thing you can — and should — hang your hat on. The Donald Draper, Rosser Reeves USP. Once that’s done you have to find a way to communicate the USP more creatively than Reeves ever could. Want help? Call me. John Furgurson at BNBranding. Just a little trim around the ears — How to cut your marketing budget without hurting your brand image. When it comes to belt tightening, most marketing managers have it all wrong. The minute the boss gives them the bad news… “gotta cut your marketing budget” they go to the list of tactics and start trimming off the bottom of the spread sheet. Or worse yet, they go for a military-style buzz cut and just chop it all off. First thing to get the ax is ”image” advertising”… anything that doesn’t have a coupon or a response vehicle of some kind is out the window. Brand building, it seems, can wait for better days. Next is community support… those feel-good event sponsorships that help non-profit organizations but don’t return any discernable ROI. Website upgrades are also on the chopping block. As long as the site still comes up when you type in that URL, it’s all good. Right??? Wrong. The website should probably be the most sacred of all cows, but that’s another story. What’s needed is a more strategic approach to cutting your marketing budget. You need more than just the bosses’ orders to cut 25% across the board. You need to eliminate dangerous assumptions from the process and work with objective criteria of some sort. So here’s an idea… why not start with an objective assessment of what you’re currently doing? Get a second opinion on your messaging, your media buy and your overall tactical plan. Print ads say one thing, social media says another and the web site implies something else. Sales presentations go off in one direction, while promotions head somewhere else. Radio commercials, new media, good old-fashioned direct mail… it’s all scattered around with no coherent theme. So before you do any budget cutting, use the opportunity to think about what you’re saying. Get your message aligned with your strategy. Reevaluate every marketing “touch point” in terms of consistency, clarity and brand worthiness. Then scalp all the wild hairs. If you can just quit saying the wrong thing, you’ll save a ton of money. Most marketing managers assume the budget was allocated in a logical manner to begin with. But that’s simply not the case. Most marketing budgets are handed down, year after year, and are based simply on “how we’ve always done it.” No one ever questions the underlying assumptions. It’s also easy to neglect the messaging process. In a recent post I wrote about an ad for Wales. A classic case of saying the wrong thing. As one British reader commented… “Golf Wales is an oxymoron.” Even if you accept the strategy of selling Wales as a golf destination, the message was all wrong, so cutting that ad is probably the smartest thing they could do. The fact is, Wales probably needs a lot more than just a quick trim. They need to rethink the entire hairdo. But who’s going to do that? Any decent marketing person can choose tactics that will drive traffic and buy media that will reach the desired target audience. But revamping the strategy and nailing down that core brand message is something else entirely. Strategy and message development are the hardest parts of the job, and unfortunately, many marketing managers aren’t up to the task. And even if they were, many bosses wouldn’t listen. A well-crafted, comprehensive brand strategy book eliminates that problem and makes cost cutting a lot more logical. It’s like a brand bible that provides guidance and inspiration on every decision. So when push comes to shove, there’s no doubt about what should stay, and what should go. That’s what my firm does… We help clients flesh-out their brand story and we put the strategy down on paper. Once it’s sold internally — and all the department heads are on the same page — then we help execute on it. And by keeping that brand book close at hand, our clients eliminate waste and save money, without sacrificing their hard-earned brand image. So if you absolutely have to cut your marketing budget, start by reading this post. 1 Three ways to hone-in on a better homepage for your website. These days there are a lot of nice brands that exist only on the internet. They don’t have a presence in the local mall. They don’t advertise in traditional media. And they don’t have a rock star CEO who gets a lot of free press. So they rely on Facebook posts, twitter feeds and maybe email to generate leads. And where does all that social media marketing lead people? What’s the one tool that absolutely has to convey their brand message and entice people to do business? The homepage of their website. Most companies haven’t built elaborate online sales funnels, so the homepage design has to carry the load. The homepage is the modern-day business card, sales pitch, storefront window display and company brochure all wrapped up in one. For the vast majority of companies, it’s the center of the marketing universe. Unfortunately, many people have adopted a real estate analogy to help explain homepage design and planning. Like a developer working within a tight urban growth boundary, they believe every square inch is “valuable real estate.” Not to be wasted. So they cram as much as they possibly can into that screen. To them, white space is just as useless as a vacant lot. That magazine is sitting on the newsstand, next to a hundred others on the same topic. Somehow, it has to stand out. The cover alone needs to entice people to skip over the competition and take a look. In a nutshell, the magazine cover has to sell magazines. The same can be said for your website homepage. The homepage has to sell the value of your site and convince people to stick around. At least for a minute or two. So let’s look at the techniques that magazine editors use to move product off the newsstand shelves. How do they get people to pick up their title and browse through it? Because the browse always preceeds the sale. That kind of thinking is directly applicable to good homepage design. Photo editors spend weeks getting just the right photo for their next magazine cover. They look for images that tell a story and convey genuine human emotion. They sweat the details because they know that good eye candy on the cover pays off at the newsstand. Webmasters use whatever they can find on Google images. That’s not how you will be found, or remembered, online. 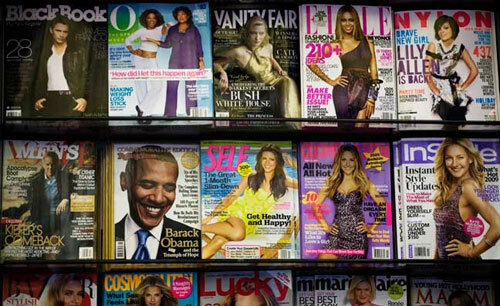 Magazine editors know their readers, and they choose a cover article that will be relevant and compelling to a large portion of their audience. Not all, but most. Then the art director designs the cover around that article. One idea. One main visual element, with just a couple of teasers regarding other content. On the other hand, most homepages have all sorts of products and links and windows and specials and banners and photos and videos and nav options. Instead of focusing on one thing that appeals to the bulk of their audience, they try to show it all. Unfortunately, all that clutter causes confusion and muddies your brand message. You only have a few seconds to answer a prospect’s most pressing question… “will this website give me what I need.” “Does it have the content/tools/products I’m looking for?” Trying to sort through a hodgepodge of elements and endless choices doesn’t help answer that. In fact, consumer behavior research shows that when faced with too many choices, people often just disengage. Limit the number of choices on your home page, and you’ll have better click-through rates. Besides, people don’t judge your entire operation by the homepage, but they DO judge your website from that. So you better make a good first impression. The objective of the homepage isn’t to make the sale, it’s to open the door and lure them in. It should entice people to click in and poke around, just as a good cover entices people to thumb through a magazine. The art of the tease is about leading people deeper and deeper into your site, until they find just what they’re looking for. You want to build in a sense of discovery and drama, revealing a little more at each level. Far too many websites just lay it all out, right there on the homepage. Here’s another way to look at it… Imagine that you have a brick & mortar store in the world’s most popular mall. Your front window display is the equivalent of your homepage. You don’t shove everything you’ve got into that little window, you choose a few really tasty items and tease them for more. Like Victoria’s Secret. You want shoppers to stop in their tracks, admire your presentation, and then walk in the door. That’s the objective. Same with your homepage. Get them in. Lead them to what they’re looking for. And make the sale! Just don’t try doing it all on the home page. If you’d like a free assessment of your current site, give us a call. 541-815-0075.